Classic. 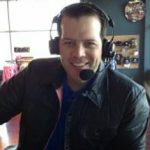 It was just my fourth event with PGA Tour Radio, and each event seemed to be the coronation of a new player arriving on the scene. First time winners became the norm rather than the exception. I was rooting for Kisner to go wire to wire at the 99th PGA Championship, but I honestly did not expect it. There were just too many good players lurking near the lead. For those that follow me on Twitter (@kevsylvester), you may have seen my tweet stating Justin Thomas would be tough to beat. It was just a hunch with the 24 yr old. It very well could have been Hideki Matsuyama, or Patrick Reed, or Rickie Fowler, or a half dozen other players. And that’ s what’s great about the PGA Tour now, it’s hard to the pick a winner. Most golf observers, fans and media alike, wondered what would happen to golf when Tiger Woods retired or wasn’t dominant anymore. That time came sooner than expected due to injuries and other circumstances, none of which should take away from his greatness on the course. Tiger’s dominance will never be repeated again, and he’s the reason why. Tiger Woods made golf cool. Athlete’s starting to shun other sports to play golf. Golfers saw the need to get fit in order to compete. He made everyone better, even the average player. We could start the list of the today’s top players with the last two names mentioned above, Rory Mcllroy and Adam Scott, but that’s not fair to Jordan Spieth, or Dustin Johnson, or the latest Major Champion, Justin Thomas (4 wins this season). This year’s Majors have produced 4 different champions. Sergio Garcia fulfilled a prediction made by most many moons ago by winning The Masters. Brooks Koepka blasted the field at the U.S. Open, while Jordan Spieth moved one step closer to the career Grand Slam winning The Open Championship (3rd win on the year). Let’s add world number 1 Hideki Matsuyama, Players Champion Si Woo Kim, Ryder Cup hero Patrick Reed, Major champion in waiting Rickie Fowler, former World No. 1 Jason Day, and future number 1 Jon Rahm. A great list indeed and I haven’t even mentioned Justin Rose, Henrik Stenson, Matt Kuchar, or Louis Oosthuizen. I also feel like I have to throw Kevin Kisner, Charlie Hoffman, and Billy Horschel on the board, but then I’d have to mention J.B Holmes, Bill Haas, and Brandt Snedeker. All very good players, and I’m leaving out even more, but I’m sure you get the point. To borrow a past marketing campaign, these guys are good. Youth is being served on the PGA Tour, and unlike in business, you can trust these guys. The players have to bring their A plus game to win, the old A game won’t cut it anymore. What is bad news for the field each week, is good news for the fans. We get to enjoy great golf, and even better drama on the final fairways each Sunday afternoon.